The cameras usually follows to various events. As soon as we manage we'll put a selection out here for you to see, so be sure to return soon again. Please send us requests of what you want to find here. 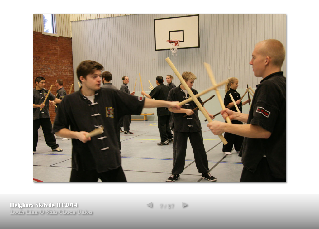 See the pictures from the week-end course in Skövde with Da Sifu Louis Linn, 6-7 december 2014, with short sticks. 2012-11-10: Pictures from the competitions in Skövde. 2011-10-29: Pictures from the instructor's course in Skövde. 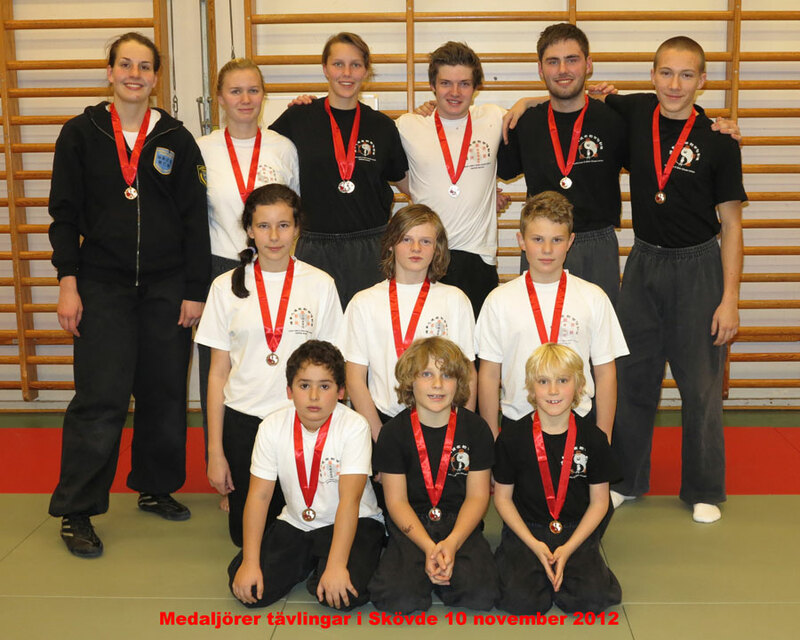 2011-10-28/29: Pictures from O Shin Chuen week-end course in Skövde with Da Sifu. 2011-07-29: An Elite Grade course with sweep. The Swedish team of 7 competitors brought home 4 gold medals, 1 silver medal and 1 bronze medal. 2011-12-10: Da Sifu Linn teaches O Shin Chuen shock punch to the advanced members of Skövde Wushuförening. Da Sifu Louis Linn demonstrates different techniques of back sweep, 2 July 2011. Da Sifu Linn performs finger-thrust breaking techniques at the advanced training in Stockholm Wushu Academy, 2 February 2012. Da Sifu teaches O Shin Chuen shock punch to the advanced members of Skövde Wushuförening at the week-end course 10 December 2011. 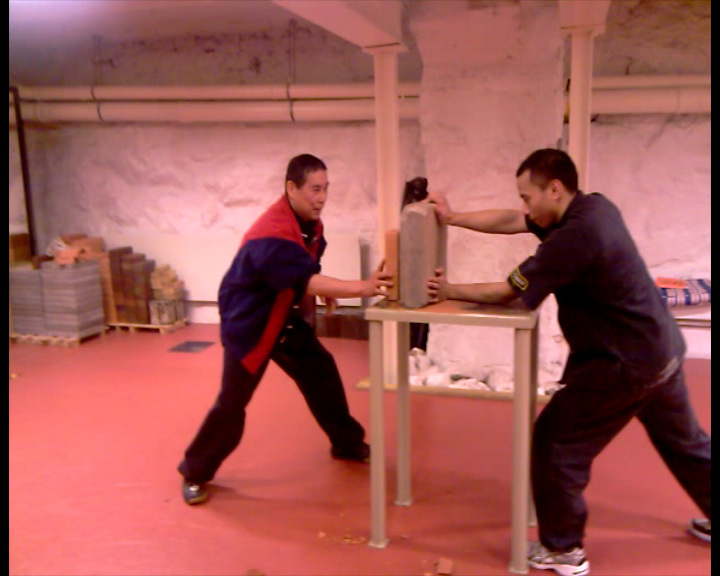 Da Sifu Linn introduces iron block training at Stockholm Wushu Academy, 2008. Sifu Linn performs finger breaking at the 25th anniversary of Skövde Wushuförening in 2003. Sifu Linn visar Head Breaking på Nordic Weightlifting Championship in 1977. Da Sifu Louis Linn performed in seven films before he came to Sweden. This is a fight scene from one of them, On The Verge of Death (1973).